Wipe away the lamp and shade from any dirt. Cover the cord with a paper lunch bag, also stuff a piece of paper bag in the socket to prevent any paint inside there. 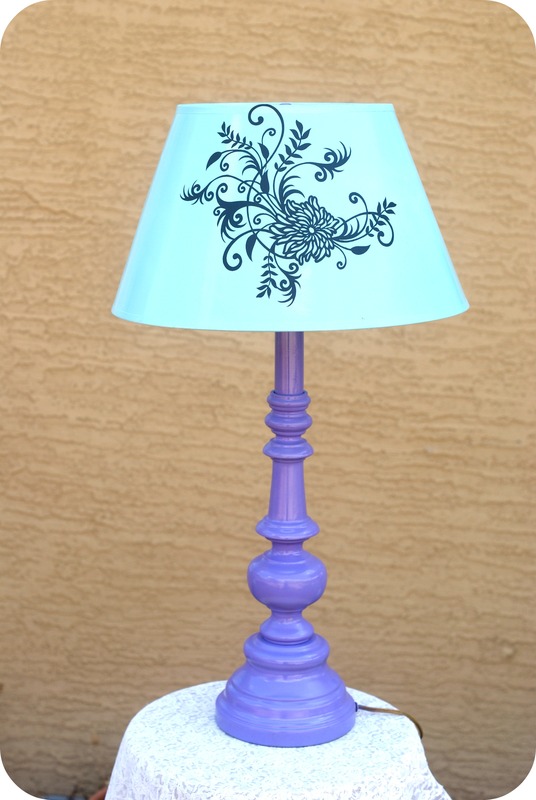 Spray the lamp with a coat, staying approx 8 inches back with a steady motion, allow to dry. 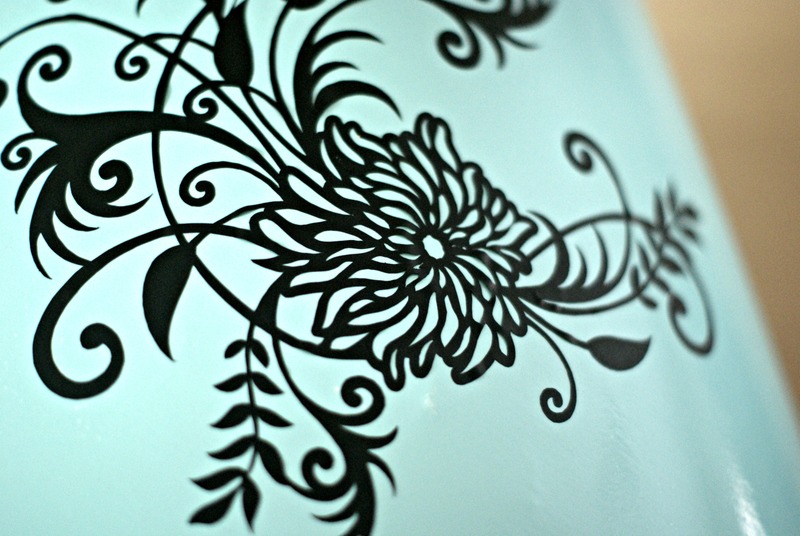 Once they are dry, spray a second coat and allow to dry. Spray the lamp with a sealant or glaze to prevent chipping or marks. For the embellishment, use a vinyl cut out and adhere it to the front of the shade.. I cut this one out on the Silhouette. such a cute makeover! i love the purple color! That is a FABULOUS lap! 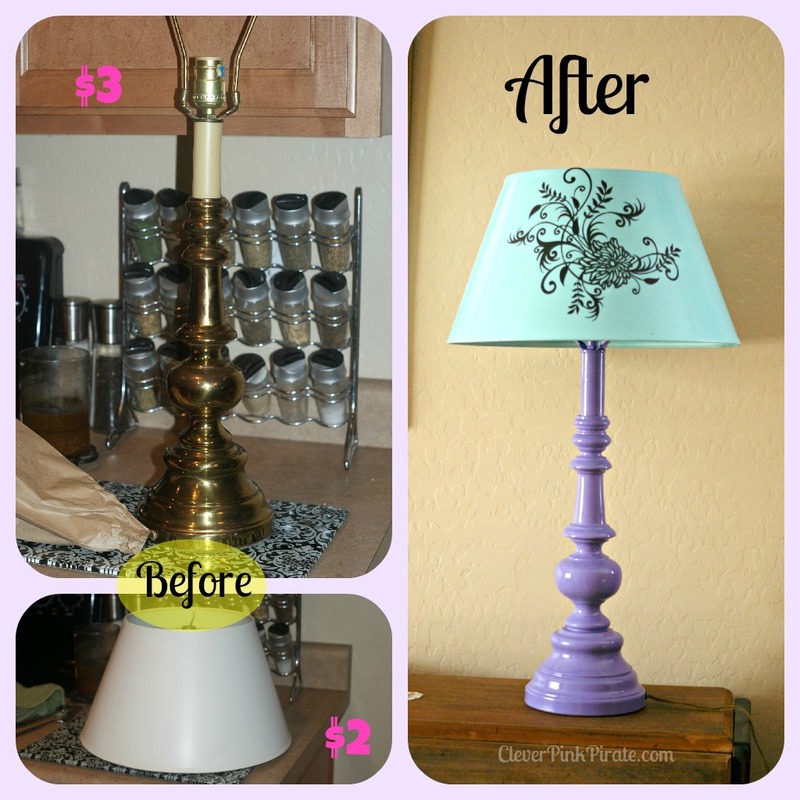 Great way to reuse and fix something up.